Are you ready to know how to make homemade clay? Yes! Then read our article. 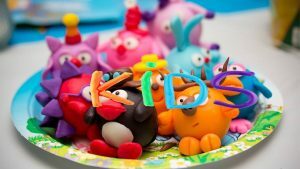 Here, we have discussed the recipes that will help you and you will be able to know how to make clay at home. The recipes are very simple. And, we have discussed all those recipes in steps by steps so that you find those easy. In the below article, we have given the list of all ingredients for making the clay. So, read the article below. Now, we are going to tell you how to make homemade clay in easily at home. But first, we want to tell you what exactly the clay is. The clay is a fine-grained natural rock or soil material. It combines one or more clay minerals with traces of metal oxides and organic matter. Clay’s are plastic due to their water content and become hard. But, it is hard and non–plastic upon drying or firing. Now, there are many ways to prepare clay. Every way is unique and simple. 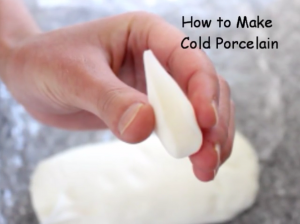 In this article, we are going to show you how to make clay easily at home. Now, the preparing recipes of those clay’s are given in the below article. If you want to learn more about crafts then check out this category. The most important thing to prepare clay is its ingredients. Now, we are going to tell you about all the ingredients you need to make clay at home easily. 1 cup (225 milliliters) water. 4 cups (560 grams) flour. 2 – 4 tablespoons cooking oil. 1 ½ cups (420 grams) salt. 1 cup (280 grams) salt. 1 cup (140 grams) flour. ½ cup (112.50 milliliters) warm water. 1 cup (180 grams) baking soda (bicarbonate of soda). ½ cup (65 grams) cornstarch (cornflour). ¾ cup (168.75 milliliters) warm water. One cup (225 milliliters) white glue. 1 cup (125 grams) cornstarch (cornflour). One tablespoon lemon juice or vinegar. You will need a 1 cup or 125 grams of cornstarch. Now, grab a pot and place it on the stove. You can use a microwave if you don’t have the access to the stove. Now, get a microwave-safe bowl and fill it with 1 cup or 125 grams of cornstarch. Now, add those wet ingredients you brought and mix them properly. You will need 1 cup or 225 milliliters of white glue, 1 tablespoon of lemon juice, and 1 tablespoon of baby oil. Mix everything together with a spoon. Here, the lemon juice will act as a preservative. And, that is very important if you don’t plan to use your clay all at once. You can use 1 tablespoon of white vinegar if you do not have lemon juice. Now, turn on the stove and heat the mixture and keep stirring until the mixture starts to thicken. But, if you are using a microwave, mix everything together first. Then put the bowl into the microwave and heat it 1 minute and 30 seconds. You must stop the microwave every 30 seconds and stir the contents before continuing to heat. You must take the pot away from the stove and let it be cool. And, if you are using a microwave, take the bowl out of the microwave and give the mixture one final stir. Now let the dough be cool so that you can touch it. Now, shift the dough onto a plane surface and massage it. To prevent the dough from sticking, you will need to work on with cornstarch. Massage the dough with your hands until it becomes smooth. Now, add some color to your clay. You can also paint the clay once it dried or you can mix some color into it. 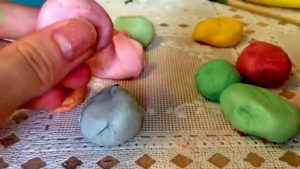 Add a few drops of food coloring and squeeze the clay until you get an even color. Before you can use the clay, roll it up into a ball and tuck it into a plastic bag. Zip the bag closes tightly and let it sit in a cool place overnight. The clay will be ready to use the following day. You can give it shape and let it air dry. If you didn’t color the clay, wait until it dries and after that paint it with acrylic paint. This clay does not need to be baked. At first, find a large bowl and add some salt and flour. You will need 4 cups or 560 grams of flour and 1 ½ cups or 420 grams of salt. You can use fine scrapbooking glitter or chunky, craft glitter as you like. But, the fine glitter will be a lot easier to mix. 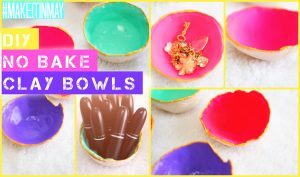 You can add as little or as much glitter as you like in the clay. Want to make some color clay. Then add a few drops of food coloring to the water and stir it with a spoon to mix it all together properly. But, before adding the water, you must add some flour and salt. Now, transfer the water to the salt and flour and mix them. You will need 1 cup or 225 milliliters of water. Then stir the mixture until everything combines into a dough-like texture. Now, you need to add some cooking oil. This will make the clay soft and prevent it from becoming crumbly. You will need 2 to 4 tablespoons, depending on how dry and crumbly clay you want. After that, massage the dough. Use your hands and press, squish, and knead the mixture until it turns into dough. Now, if you find it still too dry, add a little bit more cooking oil. Now, it’s time to play with the clay. Mix the dry ingredients in a large mixing bowl. You will need 1 cup or 280 grams of salt and 1 cup or 140 grams of flour. If you want to add glitter to your clay, you can do so now. Now, start with 1 teaspoon of glitter. You can use fine, scrapbooking glitter or chunky, craft glitter, but the fine glitter will be easier to blend. Pour everything into a large mixing bowl and stir to mix. Now, measure out the water clearly. You will need a ½ cup or 112.50 milliliters of warm water. You can add a few drops of food coloring into the water now if you want to make color clay. Shift the water into the flour and salt and massage. Now, keep massaging until it becomes a smooth dough-like texture. But, if the dough is too dry, add a little bit more water. And, if the dough is too sticky, add some more flour. Now, transfer the clay onto a plane surface. Your clay is ready to use now. You can give your desired shapes in your clay. Want to make some ornaments or keepsakes with the dough. Then start by rolling your clay out flat using a rolling pin. Now, cut your clay into shapes using a craft knife, a cookie cutter, or a drinking glass. Now, if you consider baking the dough, transfer your creations to a baking sheet and bake them in your oven at 212°F or 100°C for three hours. But, if the dough still hasn’t hard-boiled, flip the item over and bake it for two more hours. At first, Measure out the baking soda and cornstarch. Then add them to a pot. You will need 1 cup or 180 grams of baking soda and ½ cup or 65 grams of cornstarch. Now, you will need to give heat this clay on the stove. Now, add some water to the pot and mix them. You will need a ¾ cup or 168.75 milliliters of warm water. Now, stir everything with a whisk until there are no more lumps or clumps. And, if you consider adding some fine, then add white or iridescent scrapbooking glitter. You can start with 1 teaspoon at a time until it is as glittery as you want. Now, put the pot on a stove and heat the mixture. After that, stir your mixture and do not let it come to a boil. It will start to thicken and become sauce-like. You need to take the pot off the stove when clay is ready and allow it to cool. Notice that, the clay will ready when it becomes very thick. Now, let the dough cool long enough so that you can touch it without burning yourself. Now, shift the clay onto a plane surface. Your dough is now ready to be formed. You can give any shape you like. You must let the clay dry overnight now. The next day, the clay will be a bright white color. Finally, we hope you understand all the recipes. If you have any question about making of clay then comment us in the comment box. 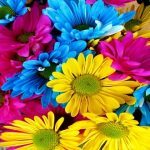 Indestructible has an awesome tutorial on how to make felt flowers. And, Visit us for more about How To Make Clay at Home.